Accessible and open green spaces are an important part of any neighbourhood. The desire for a park on the east side of Saint John had been a priority for many years, with Rev. James Ross creating a $50,000 trust with the City of Saint John in 1942 to establish a park on Loch Lomond Road and Jean Street. Several years later, a committee from the Jervis Bay Memorial Branch #53 Royal Canadian Legion brought Rev. Ross’ vision to life. In 1990, with leadership from the Legion committee and the original $50,000 endowment, the Jervis Bay-Ross Memorial Park opened to the public. The Park features a memorial to the sinking of the Jervis Bay in the North Atlantic during World War II, lush green lawns, flower gardens, fenced ponds and fountains, and walkways for the visitors to explore the 4.6-acre area. 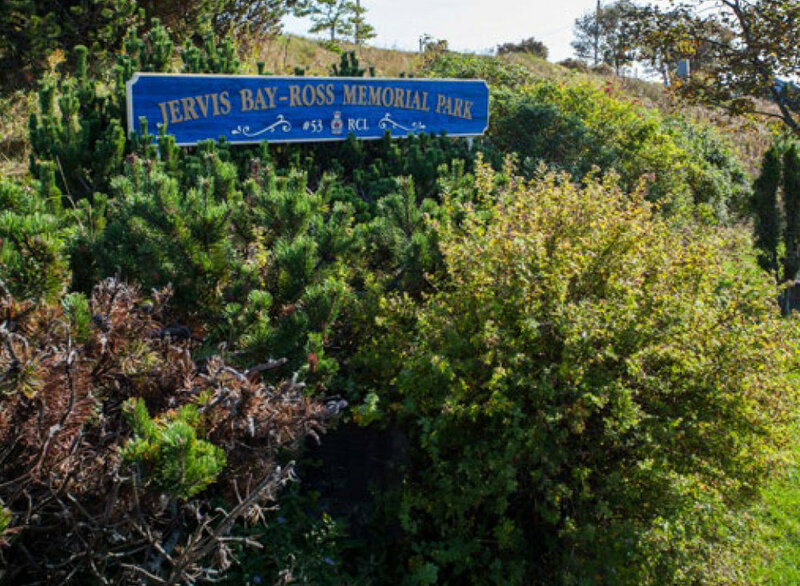 In 2002, the Jervis Bay-Ross Memorial Park Committee and Royal Canadian Legion Branch #53 announced a new $50,000 permanent endowment fund with The Community Foundation for the long-term maintenance of the park, called the Jervis Bay-Ross Memorial Park Fund. At that time, an additional $25,000 was gifted to the Common Fund from the T.R. Meighen Foundation to assist with general charitable purposes. Earnings from the Fund supports the ongoing costs associated with landscaping, mowing, and power for dusk to dawn lighting and fountains.